Situated on Whitby's West Cliff, near the famous Whale Bone Arch, Stokers is a friendly gift shop & café. We offer a calm & friendly space were you can relax and read the morning paper whilst having a fresh Pumphreys filter coffee, Ringtons tea or Galaxy hot chocolate with locally sourced cakes or pastries, or a sandwich made with locally baked bread. Alex Clark Gifts: We're delighted to be independent stockists of Alex Clark gifts. Make sure you pay us a visit next time you're in need of something for that special someone! Anne Stokes: Beautiful Gothic Gifts, Bedding and Art from this ever popular artist. Best Kept Secrets: Come and see our new range of Occasion, Christmas and EXCLUSIVE Gothic candles, Jute Bags & Diffusers. Wild Things: Beautiful Swarovski crystals to light up your life. YuYu: Winter Warmers/Pain Relief, Exclusive to STOKERS in the Whitby area. Doggy Friendly & Doggy treats always available! A Lovely Space For Your Celebration, Meeting or Get Together. "I’m originally from Durham but have been coming to Whitby (or Wibby as we call it!) forever. Geoff had never even heard of Whitby until we met, but soon grew to love it as much as I do! We’ve had a home here for a few years and it was always the dream to move here eventually. When the girls went to university in 2014 we saw this as an opportunity to do just that. 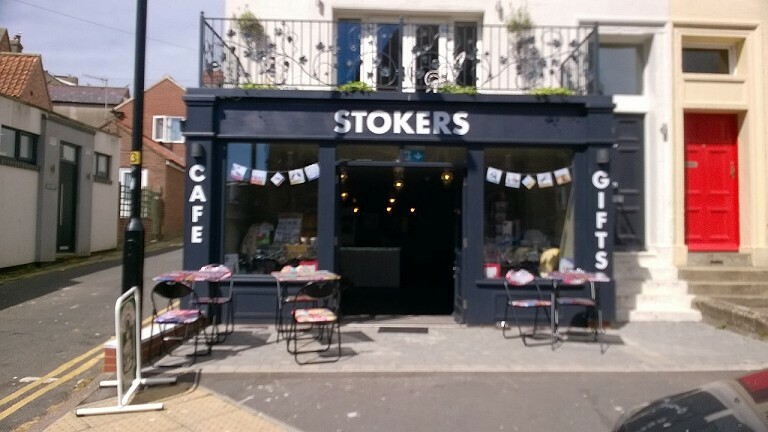 Now we're running Stokers our dreams are becoming a reality, and while Geoff continues to work away a few days a week we hope both of us can be here full time soon.